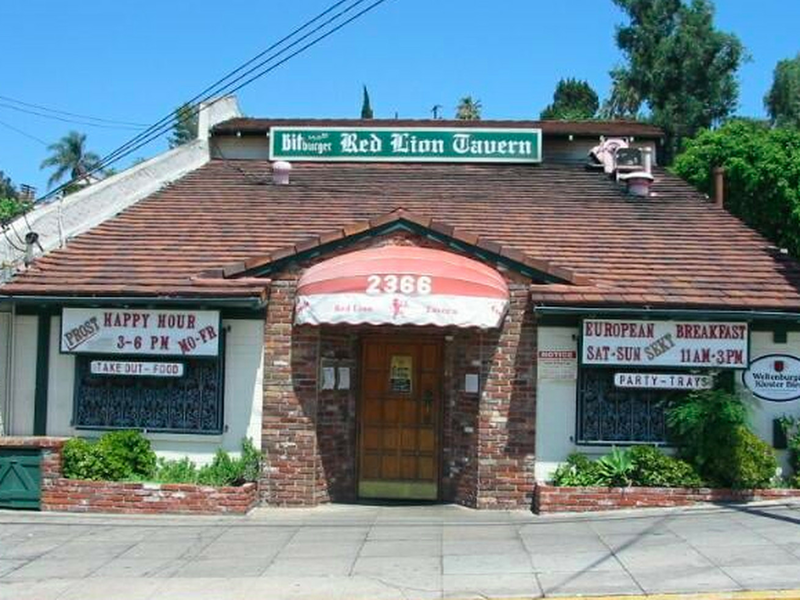 Silver Lake’s enduring Red Lion Tavern could be getting a series of upgrades. The owners filed paperwork and recently appeared before Silver Lake’s Neighborhood Council to outline future expansions to its kitchen and patio, while enhancing the bathrooms, and parking lot. According to The Eastsider, owners Aidas Mattis and family want to increase their customer base, which has been declining over the last five years. They’ll do that by widening the patio, adding space to the first floor kitchen, increasing cold storage, upgrading the cramped bathrooms, and a giving much needed improvement to the parking lot. They also plan to increase hours, and the proposal suggests that another full bar is on the way as well. This wonderful space is one of LA’s most beloved, and certainly of the most old-school. While locals adore it, it’s a bit cramped at times with those massive red booths, small hallways, and maze of rooms. The Red Lion Tavern opened in 1959 as an English pub and went through a slew of owners. According to the Red Lion website, new ownership changed it to a German tavern in 1963, which expanded the kitchen and upstairs bar. Red Lion mysteriously closed for about one year in 1979, then reopened again in 1981. From 1995 to 1996, the beer garden was constructed, and Mattis assumed ownership in 2004. The Red Lion filed paperwork back in November, and during the Silver Lake Neighborhood Council meeting, residents raised concerns about noise and parking. Future public hearings will determine whether these proposed changes will move forward.